One of my pet hates in this industry is when brands don’t provide their products’ full list of ingredients on their website. They may only list the key ingredients, or beneficial ingredients, or however they want to term it. Or they don’t list the ingredients at all. You’ve got to ask yourself – why? Why don’t they provide you with a full list of ingredients when it’s as easy as typing a few extra words on the backend of their website? 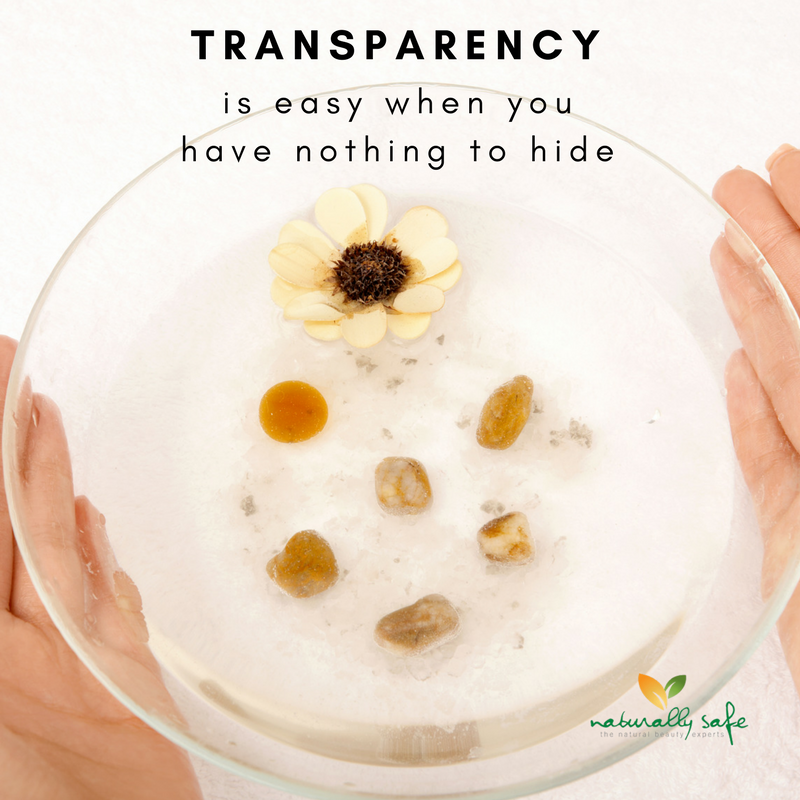 Call me a skeptic or a cynic, but when I see a website that does not list all of the ingredients in the products they sell, whether it is a brand themselves or a retailer, my first thought is: what are they hiding? Is it a deliberate attempt to prevent you from seeing exactly what’s in a product until you buy it and can finally read the label? After all, if they are confident in all of the ingredients they use, why not list them ALL for everyone to see? Personally, I have more respect for a brand that openly reveals its list of ‘dodgy’ ingredients than one that tries to conceal the full list of what makes up their product/s. I may not like their products but I respect their openness and honesty. And there’s another sneaky little trick to watch out for too. I’ve noticed some websites selling natural products that do in fact list all of the ingredients in their products but they've misspelt some of the less desirable ingredients. Coincidence? Perhaps it’s an honest error but I've seen it so many times and have wondered: is it a ploy to prevent those ingredients or products containing those ingredients from showing up in search results when a customer types the ingredient name into the website’s search bar? You’ve got to wonder . . . I will always list every ingredient in every product I sell as provided to me by the brand or manufacturer or supplier as the case may be. If I’m not comfortable with a product’s ingredients, that’s when I know it’s time to ditch that product.